video 07’13’’, group show in the hen house. 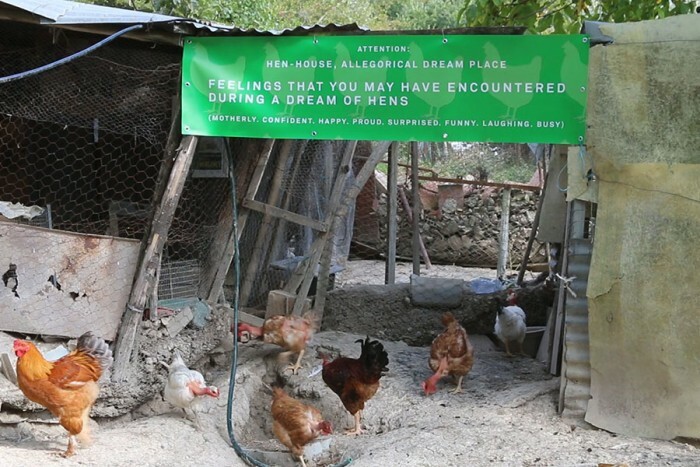 Invited for a solo show, found a hen-house next to the exhibition space. *The group show contains 9 works by 9 artists, created responsively to the hen-house. List of Artists: Mimì Enna, Marcello Tedesco, Irene Fenara, Marco Casella, Giuseppe DeMattia, Daniele Pulze, Filippo Marzocchi, Francesca Bertazzoni, Mattia Pajè. 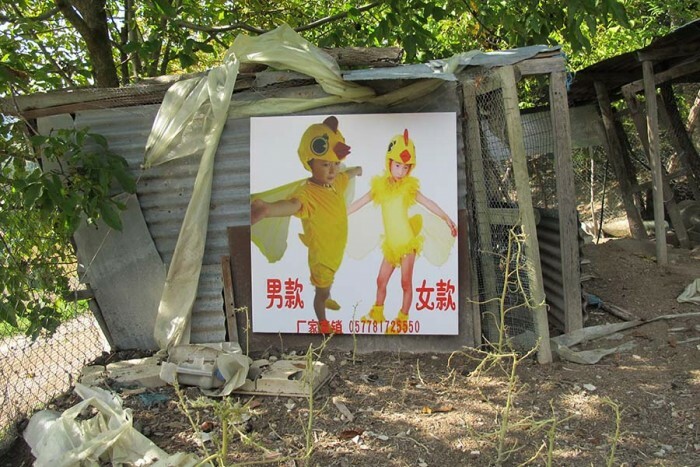 Hen House, Daniele Pulze, Chick-cartoon-animal-clothes-child-game-service-enfant-wear-performance-font-b-chicken-b-font-baby, digital print on PVC, 100 x 106 cm cm, 2016.